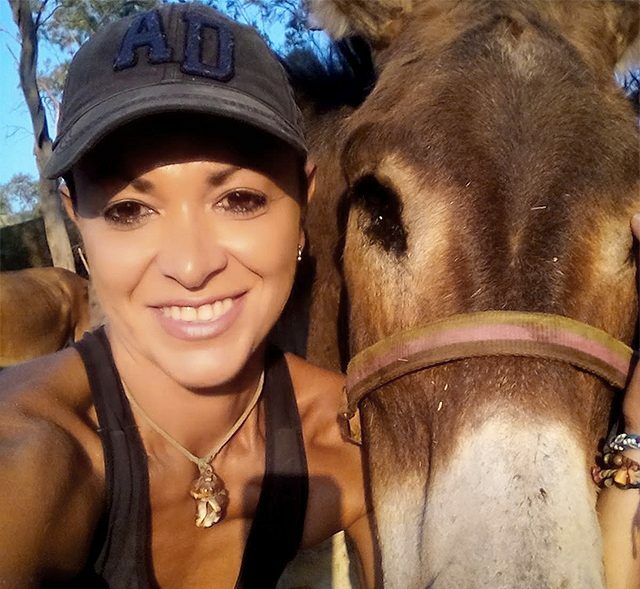 Christina Kaloudi is the super-hardworking woman who has devoted her life to her island’s animal rescue organization, the Santorini Animal Welfare Association. She heads a group of volunteers, many visiting from other countries as holidaymakers, who care for the strays of Santorini. 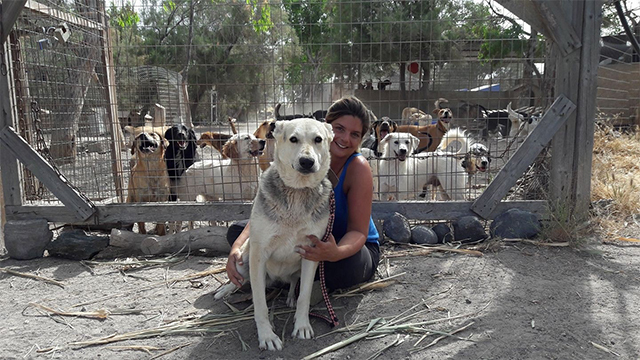 Christina and the SAWA volunteer team helped create a safe haven on Santorini with fenced acreage where dogs can run free by day and have shelter at night. 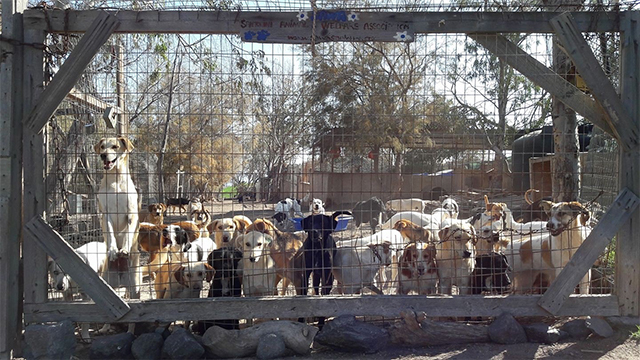 The shelter is now home to around 130 rescued dogs and puppies, also retired donkeys and pigs. 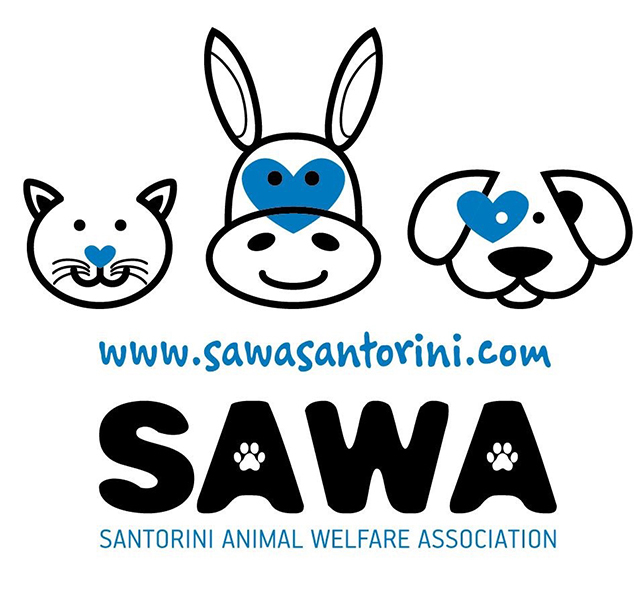 SAWA are seen by many other rescue organisation as a model for Greece. They run a successful neuturing programme and have a fantastic overseas support network,in particular Tierschutzverein Santirini in Germany, who help with donations and with re-homing. All this is primarily down to Christina. She’s described by the volunteers as smart, determined and super-hardworking. She’s also extremely likeable and so it’s no wonder she has so much support and respect from the rescue community. But for several years the municipality of Santorini has been trying to close the animal sanctuary and turn the animals back on the street where they will be shot, poisoned or killed by other means. They even resorted to bullying tactics, bulldozing the road which leads to the sanctuary, to try and stop them getting food and water to these poor animals but the shelter volunteers formed a chain to stop the state workers from entering the old shelter and taking the animals away. There has been a huge outpouring of support from all corners of the world that these dogs, many of whom have grown up in the shelter, so they are not street wise and if turned out onto the streets will be unable to fend for themselves. All over Greece there are stories like this where shelters face closure, because the authorities declare them illegal, and more dogs face being turned out on the streets to await a horrible end. A Greek stray dogs life in the streets is nothing more than a slow and agonizing sentence to suffering. With the 2004 Athens Olympic Games, my country realized that it is facing an uncontrollable stray population problem that had to be swept clean in order not to disgrace its image. A population control program commenced and as the law states stray dogs will be sterilized and then released back to their natural environment.” In which civilized part of the world are the streets considered as the natural environment of a dog???? A Greek stray dogs average lifespan is two years. Two years of survival, not living. Conventional shelters exist, they all suffer from great lack of funds and volunteers, and are all outnumbered from the dogs in need. The few left with the will to sustain such shelters are acting way beyond their limits in order to make ends meet. Enthusiastic volunteers come but mostly leave as this psychological trip is overwhelming. A dogs place is in a home, not in the streets nor in a shelter. 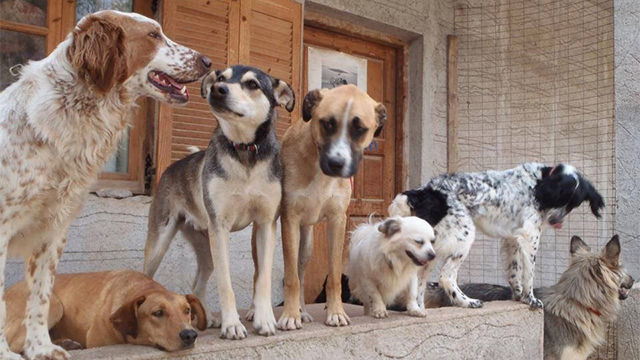 The shelter is just a click better than the streets; it offers the dogs a safe haven. I see this every day in the eyes of the dogs I leave behind me when I close the shelter doors. They are all longing to follow me, and they are devastated that the few humans they interact with have to go. Next time you see a dog lying by the street dont just walk away. Remind yourself that you can make the difference, DONT BUY a dog, ADOPT a shelter dog, SUPPORT an animal welfare association, SPREAD the word, they will be waiting patiently. There is no wonder that they are considered the most loyal and unconditional loving creatures of all. You also most likely have a shelter near your town that’s overburdened with dogs, so that’s the place to start looking.